Your ink cartridges will last longer if you do not remove the protective wrapping until it's ready for use. If needed, you may place the ink cartridge upright for about 30 minutes prior to use. This will allow the ink to flow down to the print head and allow any oxygen bubbles to rise up and away from the print head. Be sure you've removed the plastic strip from the ink cartridge. Run the head cleaning cycle at least one time. Print a test page to make sure the print cartridge(s) are installed and functioning properly. This may be due to overfilling by the factory, extreme temperature change or change of air pressure during the shipping process. Place the print head of the cartridge (where the ink would come out) on a paper towel and wait for a couple minutes. This should remove the excess ink. The ink cartridge is perfectly good to be used. Make sure that the protective cover on the ink cartridge has been removed. Also check to see if what you have is the correct cartridge for the printer. Remove the replacement inkjet cartridge from the printer. Power off the printer for about 2 minutes. Power on the printer and insert the ink cartridge(s). Run the head cleaning cycle. For printers like HP and Lexmark, place a damp paper towel on a flat surface. Protect the surface from leaked ink by placing layers of used newspaper underneath the damp paper towel. Sit the print head of the cartridge (where the ink would come out) on the damp paper towel and wait for a couple of minutes. 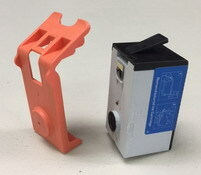 This will help to draw the ink out of the print head and prepare it to print. For other printer brands, the problem may be caused by air bubbles being trapped in the cartridge. Wrap the ink cartridge with a clean paper towel and shake lightly. Be sure not to touch the print head with your fingers. Run the head cleaning cycle 2-3 times. If the problem continues, contact us. In most of the cases, persistent problem is caused by clogging or drying up of ink at the printer head from previous uses.